I've mentioned before that we're revamping our prizes for the Summer Reading Club this year. Part of that is providing a choice of Science Activity Packs when kids complete the Summer Reading Club. 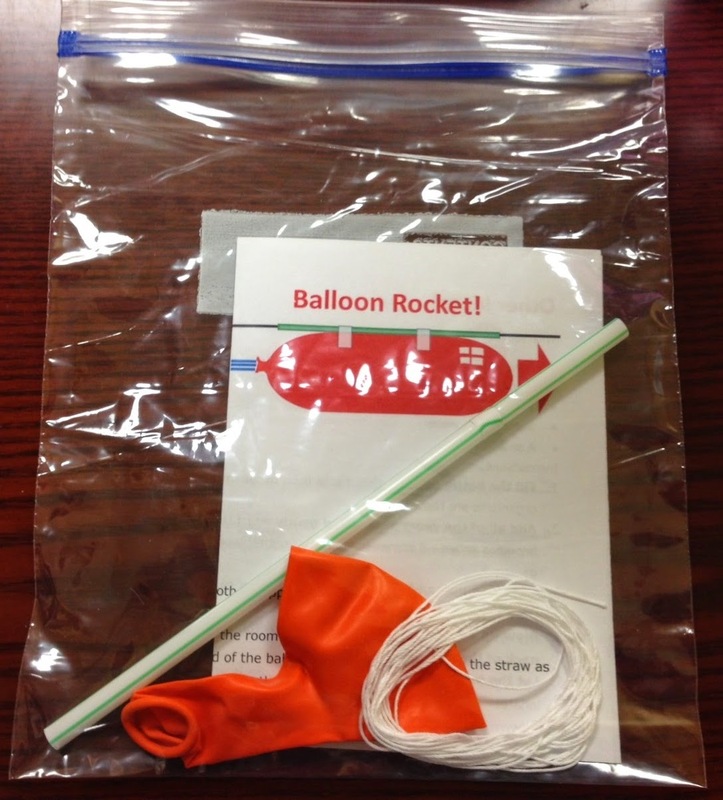 Science Activity Packs include supplies and instructions for a science activity that kids can do at home. The only thing we don't include is a couple pieces of tape. And we include instructions. 1. Tie one end of the string to a chair, door knob, or other support. 3. Pull the string tight and tie it to another support in the room. 4. Blow up the balloon (but don't tie it.) Pinch the end of the balloon and tape the balloon to the straw as shown above. You're ready for launch. Let go and watch the rocket fly! The website includes some additional ideas for experimenting and explains how the science works. Stay tuned for more Science Activity Packs in the coming weeks!